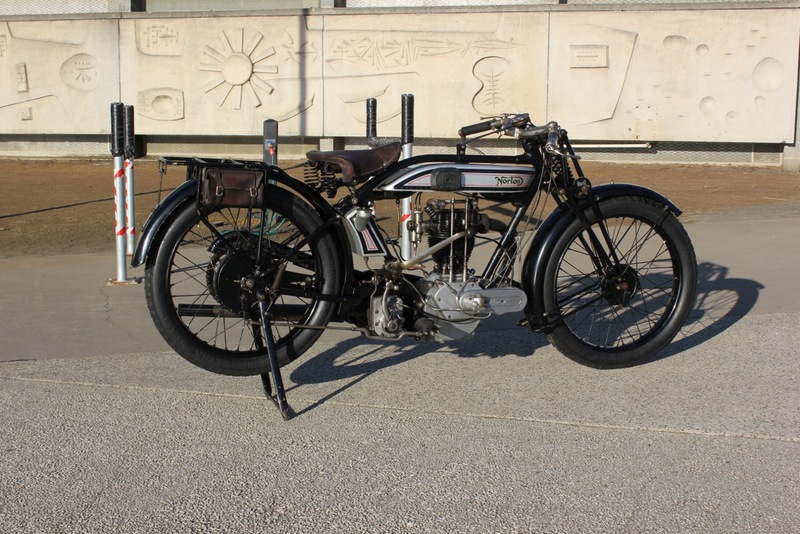 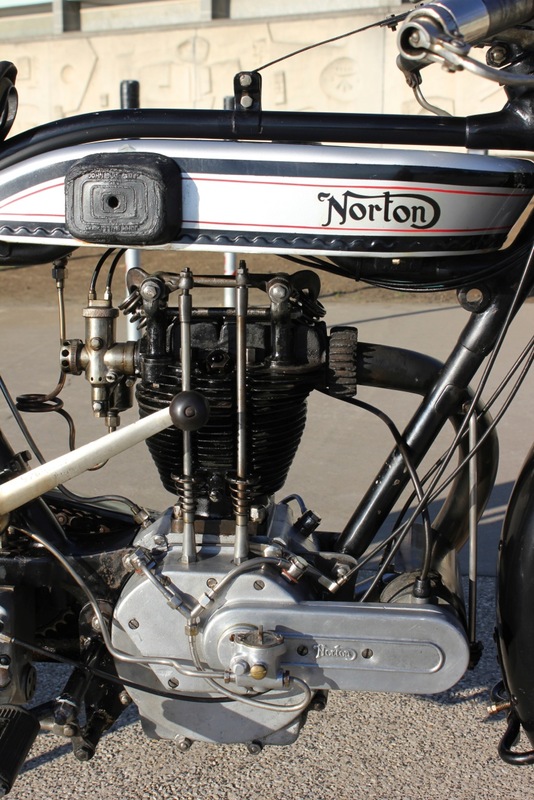 -SG- Howard has recently acquired a 1926 Model 18 Norton and from the photos he has sent, it is in very nice shape. 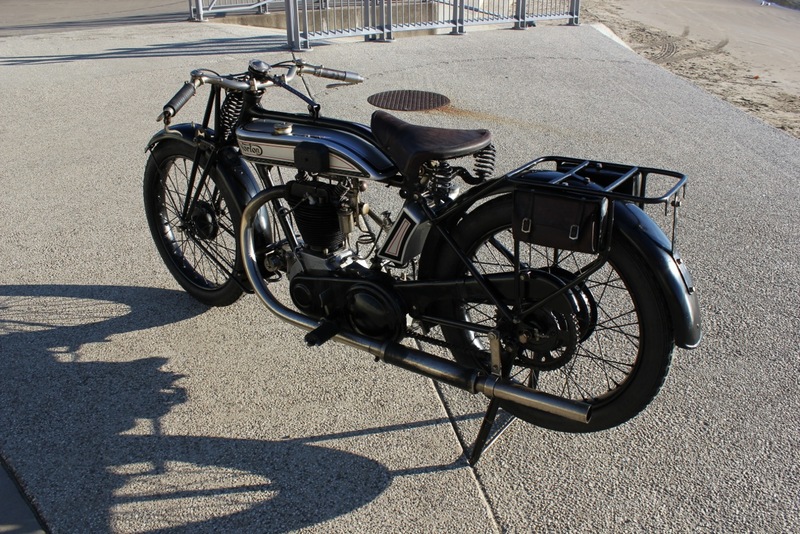 I have checked it out in the records and it was supplied early in 1926 with matching frame and engine numbers. While I appreciate the problems associated today with the use and supply of beaded edged tyres, I am pleased to see this bike still wears its original tyre type and in my probably biassed view this greatly enhances the overall appearance of the flat tank Norton. 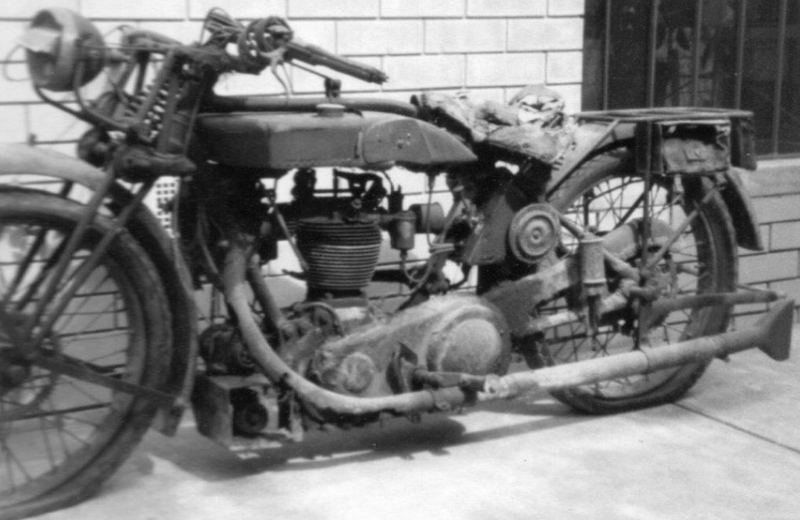 It retains the 'lean and hungry' look! 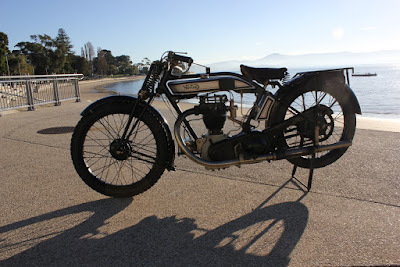 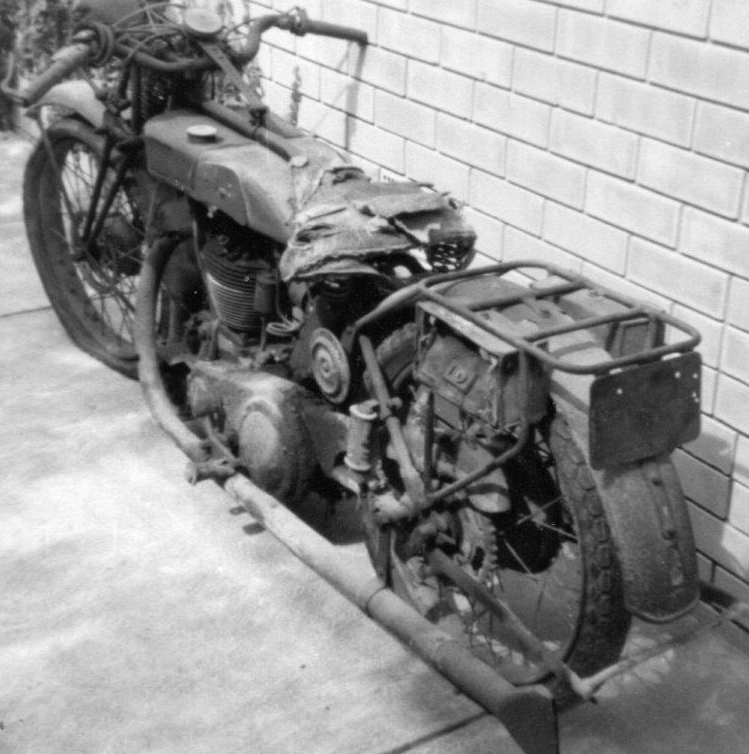 It is unusual in that it has an LS gearbox fitted and while this may have been a later modification (the records in early '26 do not show gearbox type or number), the serial number of the gearbox shows it to be of about the same age as the rest of the bike. He has been fortunate in obtaining some early photos of the machine - below: dating from about 1946 - by which time it looked pretty well used and still carried its obligatory war-time head lamp black-out mask. I note it already had the LS gearbox fitted, incidentally. 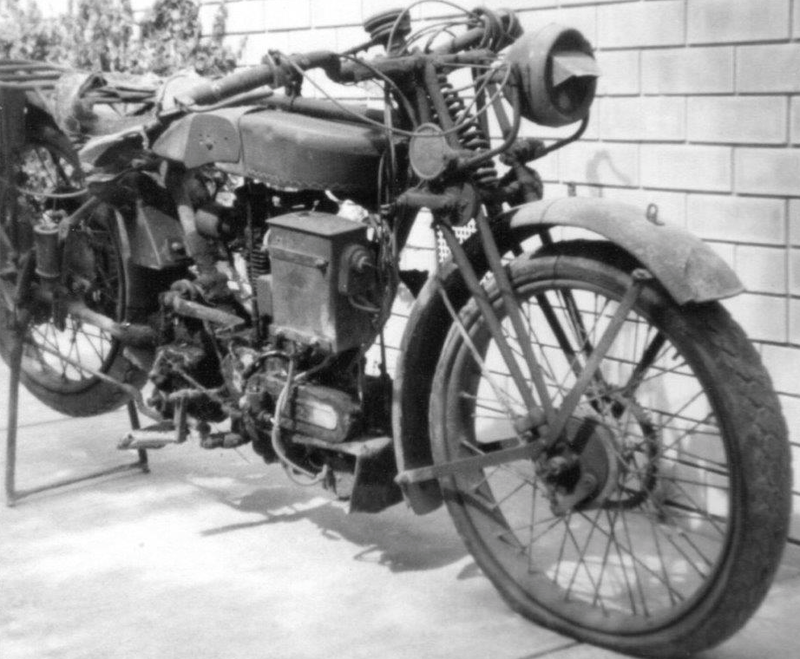 It was apparently on the road until 1946 when the then owner bought himself a new bike - a Norton, of course.